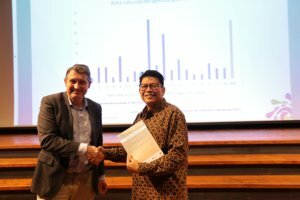 The Geothermal Capacity Building program between Netherlands and Indonesia GEOCAP directly contributes to CO2 reduction by enhancing capabilities of geothermal energy in Indonesia. GEOCAP started in 2013 as a direct contribution to the National Geothermal Capacity Plan issued by BAPPENAS in 2011. The program brought together universities, knowledge institutes and industries from both of our countries. Over 90 experts united in GEOCAP, over 200 experts indirectly contributed to GEOCAP; a huge network was created. A total of 21 trainings were held attracting nearly 500 participants many from outside Java and with the support of BPSDM this training program could be further enhanced. A geothermal handbook is now available and training materials on 20 topics freely accessible to teachers from the GEOCAP website (www.geocap.nl). Under the research program of GEOCAP 7 PhDs supported by staff from Indonesia and Netherlands are tackling challenges brought up by industries for which a unique sandwich PhD program was set up and endorsed by DIKTI and supported by LPDP was set up. Together with the Indonesian Ministry of Energy and Mineral Resources, a prototype geothermal data base was build. GEOCAP for the first time investigated the potential for direct use applications in Indonesia which holds great promise. Outreach and awareness creation was also an important aspect of GEOCAP as there is a continued concern by the general public when it comes to exploration and conflicts of interest between energy production and forest conservation. Though GEOCAP finishes due to the PhDs the program is extended until 2021. During this phase we will continue to work on research with Indonesian Industries on keeping geothermal reservoirs producing and reducing the risk of failure of drilling. This will sustain also some training activities with the universities. There are possibilities to also further develop some of the business leads that came out of GEOCAP including developing Direct use potential, Small scale electricity production as the case of Flores and curriculum development at Regional universities. 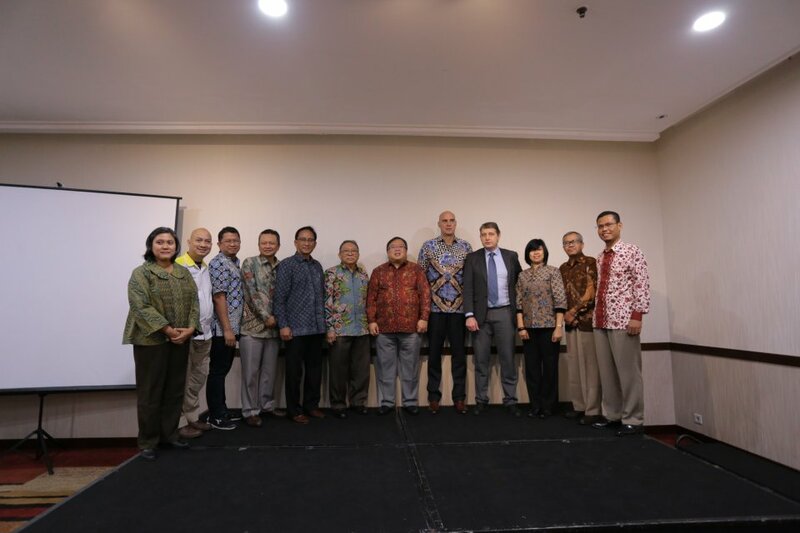 GEOCAP was made possible through the support of the Netherlands (Ministry of Foreign Affairs and Embassy) and was co funded by LPDP, BPSDM and received in kind funding from Indonesian industries. The program was executed under the auspices of an Advisory Board chaired by BAPPENAS. More information about GEOCAP can be found here. GEOCAP shared its scientific achievements with the general public and interested parties on 6 February 2019 through the ‘GEOCAP open science day’ at the Erasmus House on the premises of the Embassy of the Kingdom of the Netherlands. Although geothermal energy is environmentally friendly there are hurdles for the uptake in Indonesia. The most important ones are: (1) Indonesia has set a target to develop geothermal energy and to reach 7000 MW in 2025 and this requires more skilled personnel in the sector (2) the fact that many prospective geothermal areas are in forest conservation areas thus there are competing claims between forest management and energy production, and (3) a negative cultural connotation of the general public to exploration for resources. Exploration issues along with these more environmental and financial constraints were discussed at the open science day. The first Key Note presentation was given by Fabby Tumiwa on the state of the affairs on energy transition in Indonesia. Fabby Tumiwa is the Executive Director of Institute for Essential Services Reform (IESR). He has been working extensively on energy and climate change issues for more than fifteen years. His expertise is in energy policy and regulation, renewable energy technology and economics and organizational development. Jan Diederik van Wees delivered a keynote speech with the title ‘A mission oriented approach towards geothermal energy development: enacting wishful or visionary thinking? perspectives from EU and NL.’ Furthermore there were presentations by GEOCAP scientists. Jan-Diederik van Wees is a principal scientist geothermal research at TNO, and professor at Utrecht University working on ectonics, reservoir engineering, induced seismicity, resource assessment, and techno-economic models of geothermal systems. His current research expertise focuses towards geothermal energy development in the Netherlands and internationally. Van Wees serves in various co-ordinating roles in major European and Dutch geothermal research projects. The formal closing session of GEOCAP was held on 7 February. First part was the formal dismissal of the Advisory Board. Second part was the formal closing. The Minister of National Development and Planning of Indonesia Prof Bambang P.S. Brodjonegoro addressed the audience placing emphasis on combining efforts between all forms of renewable energy to reach the set goals for Indonesia as laid down in the Cop21 agreement of Paris. The Minister Plenipotentiary of the Netherlands Ferdinand Lahnstein announced that GEOCAP was extended until 2021 to enable the PhD researchers to finish. At the end of the closing a proposal was presented for a 250 Million euro project to turn Flores into an island with purely geothermal energy. This is perceived as a spinoff of GEOCAP by the Netherlands Embassy in Jakarta. The idea is to install several systems on Flores producing small scale electricity. At the moment there is a consortium in place and there seems commitment from FMO and a MOU signed but additional support from RVO is needed and a more formalized link to GEOCAP partners in the project.